To guarantee your start time and use of an electronic punch, you must register no later than 1 week prior to the event. Refer to the page Categories and Courses. Advance registration is required for these courses. Actual course lengths and number of controls will be published at a later date. Advance registration is not required for open courses, but it is strongly encouraged. On-site registration may be permitted, dependent upon weather conditions and/or available start slots. Check event website for updates. Start lists will be published several days prior to event. Some maps will cover new terrain in familiar areas. Other maps will be recent and thorough revisions, to give competitors the best possible orienteering experience. Scale 1:7500/1:10,000. Contours 5 meter. All events will be organized using the SPORTident electronic punching system. Competitors who have SI cards can bring and use their own cards. Every registered participant must sign a waiver. A parent or guardian must sign for each child under 18. ISOA will provide first-aid at each competition site. Emergency care and major hospitals are within a 30-minute drive from all competition sites. ISOA will not bear responsibility related to medical costs for participants. Anywhere in central Israel is a convenient location for getting to the events. Israel Youth Hostel Association – Network of guesthouses and youth hostels throughout Israel. 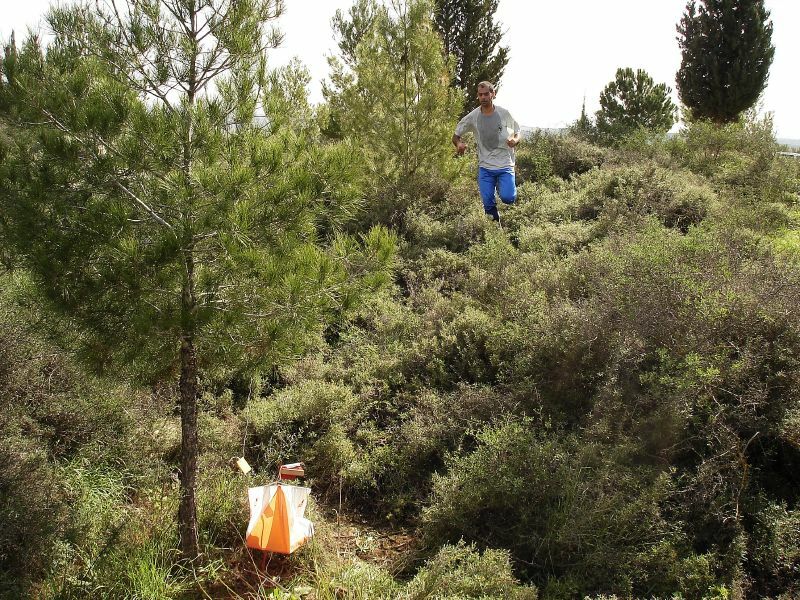 The IOA invites you to a new orienteering experience. Come to Israel for a week of O-training and sightseeing, and compete at the Israel Open Championships. There are many training maps in close proximity to the competition arenas. Israel is a small country, and nearly all O-maps in Israel are within a driving distance of no more than two hours. Israel offers a plethora of historical and religious sites, beach resorts, archaeological tourism, heritage tourism and ecotourism. The capital Jerusalem is one of the oldest cities in the world, and is a holy city to Judaism, Christianity and Islam. Tel Aviv is a cosmopolitan, cultural and financial global city. It was ranked by National Geographic in 2010 as one of the world’s ten best beaches. Israel’s different cultures and religions, its diverse landscapes, the contrasts between cities, and the mixture of European and Middle Eastern culture all combine to give tourist a rich experience.